On Thursday, December 21, over 128 countries backed a non-binding United Nations resolution calling for the US to withdraw its decision. President Donald Trump had threatened to cut off financial aid to countries that voted in favour of the UN resolution. His warning did appear to have some impact - with nine countries voting against the resolution and 35 abstentions. 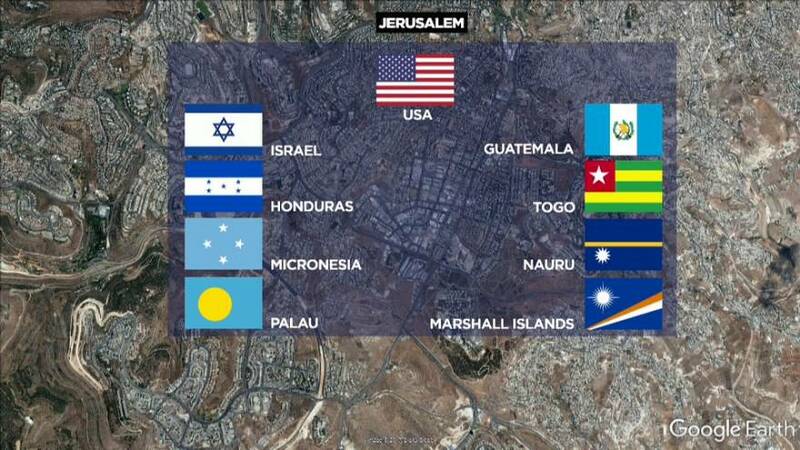 Guatemalan President Jimmy Morales was then praised by Israel for deciding to follow the US lead and relocate the country's embassy to Jerusalem. "God bless you, my friend, President Jimmy Morales." he said. "I told you recently that other countries would recognise Jerusalem as capital city and would announce the transfer of their embassies. Here is a second country and I repeat: there will be others, it's only the beginning." Guatemala's decision comes three weeks after the United States' declaration and four days after it became one of only nine countries in the UN to vote against a resolution slamming the US move. Only three of eight Central American countries voted against Israel. Honduras, Guatemala’s neighbour to the east, with which Israel has strong ties, also voted against the measure and is widely believed to be a leading candidate to be the next country to announce it is also moving its embassy. No date had been set for the Guatemalan embassy's move, but it will happen after the United States relocation, which could take at least two years. Meanwhile, Palestinian demonstrations continue over Trump's decision. The status of Jerusalem is one of the thorniest obstacles to an Israeli-Palestinian peace deal. Palestinians want East Jerusalem as the capital of a state they want to establish in the occupied West Bank and in the Gaza Strip.